Meet Eddie Murphy's ex-wife and a mother of five children, Nicole Mitchell Murphy. 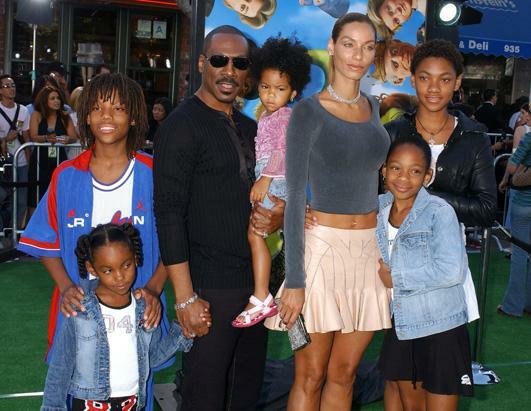 Eddie Murphy now has 5 mothers to his nine kids! Let’s meet his first ex-wife and mother of five children, 4 daughters, and a son, Nichole Mitchel Murphy. Nicole Mitchell Murphy, a model, designer, media personality and business woman gained recognition for her international modeling career, 12-year marriage to comedian/actor Eddie Murphy and participation on reality television show Hollywood Exes. Murphy also launched a handcrafted jewelry line “FLP” (Friendship, Love, Peace) in 2009 with best friend Yolanda Braddy. She met her ex-husband, Eddie Murphy at the age of 20 at the NAACP Image Awards show, 1988, got engaged on Christmas Eve of 1991 and the pair wed two years after. The couple divorced in 2006 after their 12 years of marriage. She recently shared a snap with her daughters on Instagram, they look cool! After things ended with Eddie Murphy, Nichole was engaged to former NFL football player Michael Strahan. The couple broke off their 5-year long engagement in August 2014, owing to busy schedules. Allegedly, it was the distance that drove them apart.